Have you ever been outrageously tipsy at the yarn store? D-A-N-G-E-R. Everything is so insanely pretty when you are all boozed up, especially the skeins that feel sooo soft (put those down! they are cashmere, dummy!). 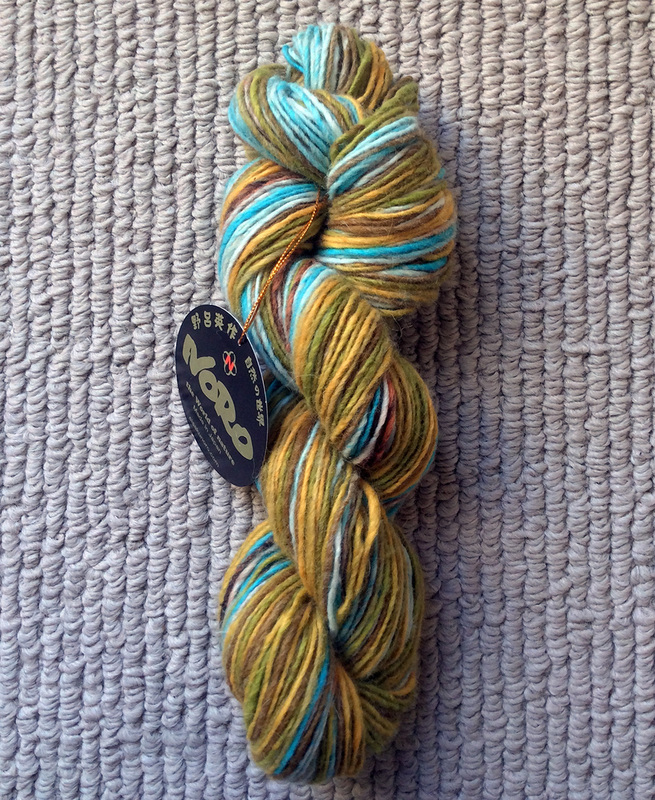 I admit it, I was in a tannin-colored haze when I bought this skein of Noro Shiraito last Thursday. My friend pulled out this buttery-soft pair of mitts her mother made her and said, "The Yarn Is Over There". I followed like a little lamb, bleating in highly, uh, evaporative breaths. Yes, that beauty is 45% Cashmere, 45% Angora and 10% wool of Noro extravagance! 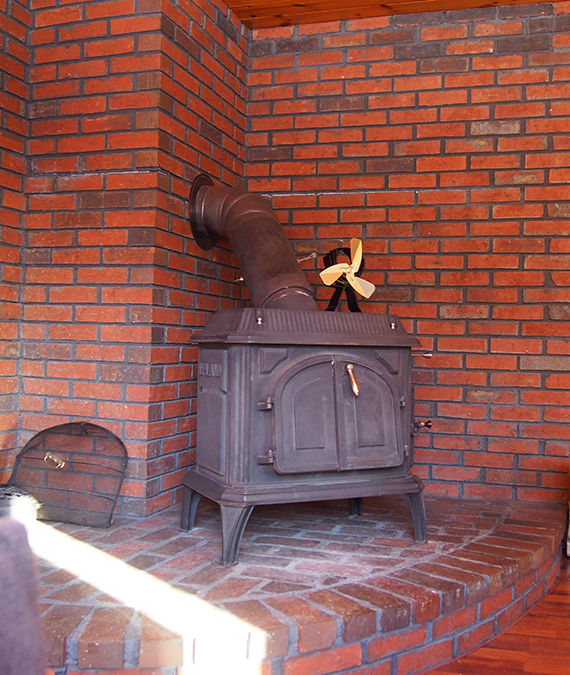 It is incredibly soft and warm, but it is also a very weak, loosely spun single-ply. Treat this yarn with the utmost delicacy! While winding it broke. While sewing it even broke. You do get 180 yards of it though, enough for a hat or mitts, and it is very easy to re-splice (thank goodness, geez). 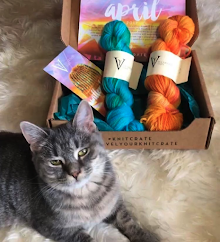 You know, you don't even need to be drunk to feel woozy after an overly-excessive yarn purchase (we've all been there). So, I had a double-whammy to deal with. The next morning after my ibuprofen breakfast, I said to myself, "Dayana, you are going to knit something with that yarn for penance, THIS WEEKEND." But OF COURSE, you know me, I had to go and change things. First, why are those cuffs so wide? No no no, I was going to slim those. Second, beads are cold, no. Third, the pattern says to start from the other side of the ball at that wrist ribbing to change the color pattern dramatically. 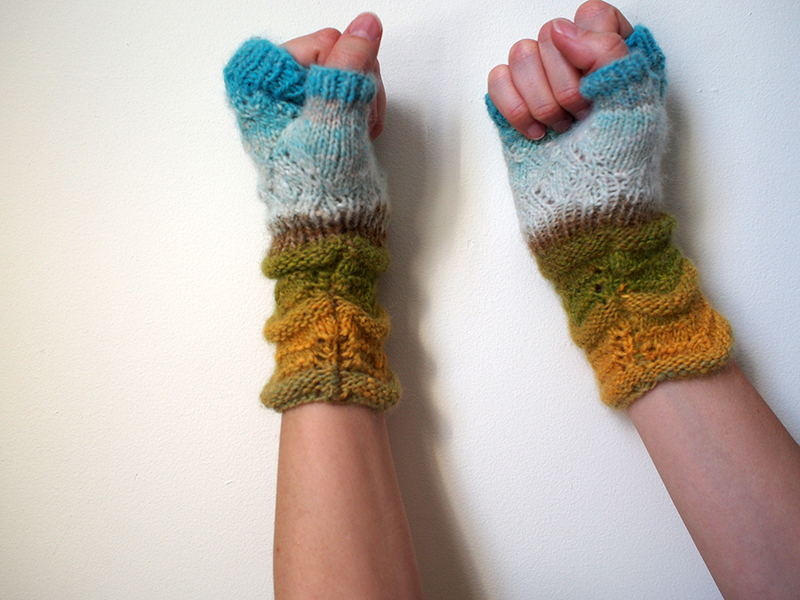 But I had this mad idea to try and make the mitts match. If you know anything about Noro, matching with only one skein of yarn is a fool's errand! Oh, wait, was that a knitting challenge? You're on. 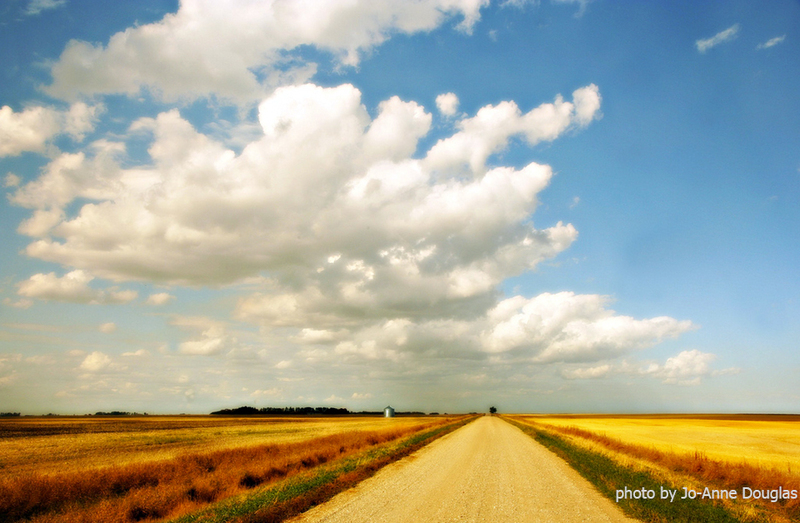 My idea was to go from earth to sky, like the wide landscapes of the prairies. My first try, the mitt ended in white, no sky! I ripped it out and cut out some olive green and re-knitted it... success. I couldn't go all the way through the blue though, because I wanted to get some blue at the end of the thumb, too. Challenging! Luckily, there was a lighter color on the other side of the blue, so I came in from the reverse side. You can see the light color is more orange-y from that side. If I could give you a formula to do this, I would in a heartbeat. 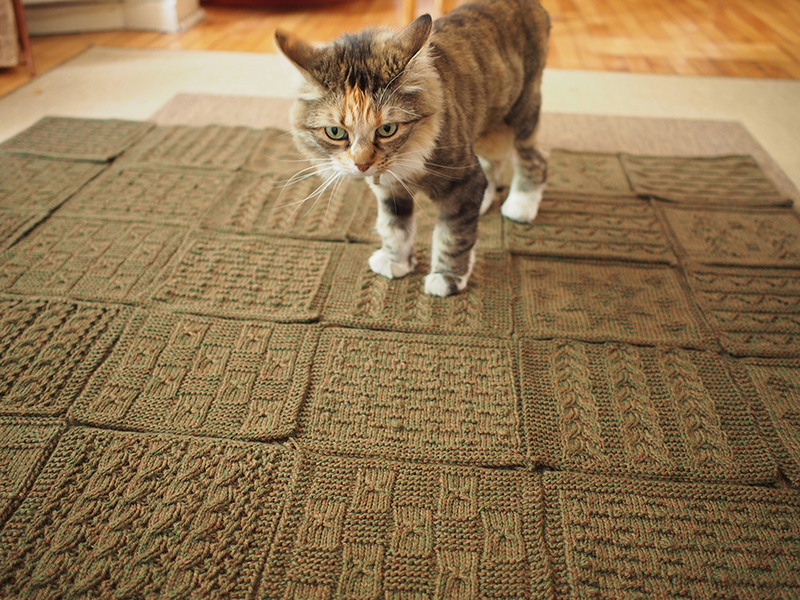 As it was, the lengths of the different repeats were not reproducible, unlike a classically space-dyed skein. In the end, I was left with only 5 inches of the correct color yarn, and I probably cut and pasted 6-7 times. A note on the pattern construction: The cuff is actually knit flat and then seamed (the mitt is in the round). As I mentioned before, sewing with this yarn proved impossible. You can really only run the yarn through a few times before it breaks. I had to do a slip-stitch crochet seam to avoid breakage (because with crochet, you don't have to pull the yarn through repeatedly). That worked, but definitely made a bulkier seam. If I were to do it again, I'd try to convert in the round, though I bet those nice reverse stockinette tubes would jog, hmm. Worth a try though, if you are game. I am proud. I have vindicated myself completely from this drunken purchase, in a turnaround time of THREE DAYS! Even better, these aren't just in some pile in an accessory corner, they are being used right now. 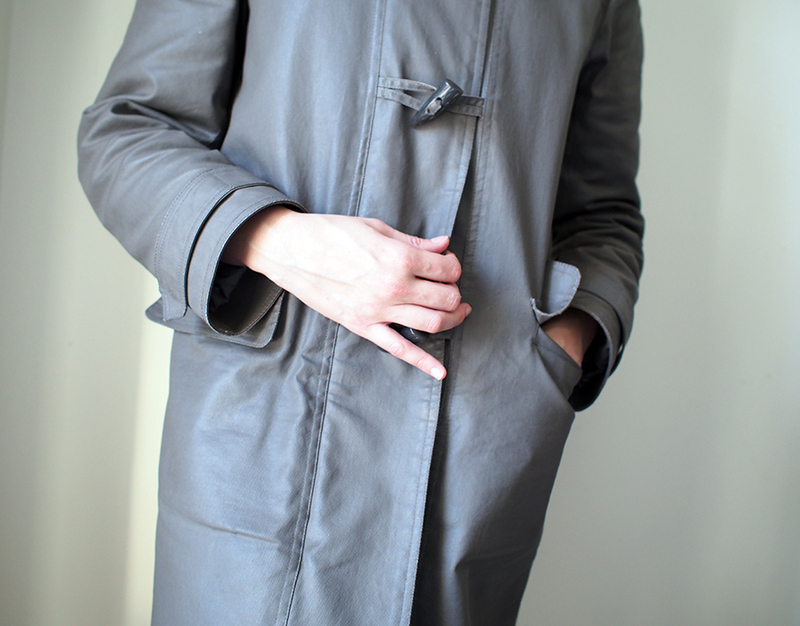 I have a coat I love that is just too short for my monkey arms. 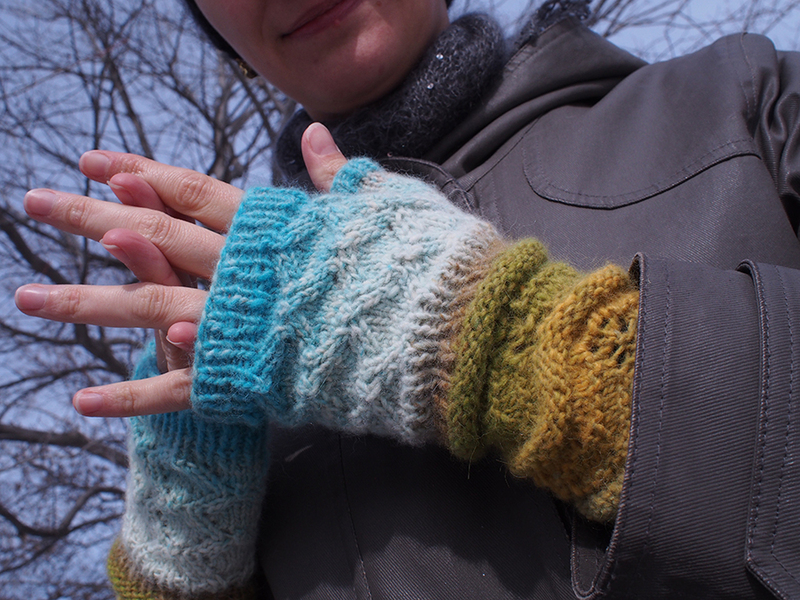 When it is too cold, I have knitted cuffs to deal with the empty wrist space, coupled with mittens. 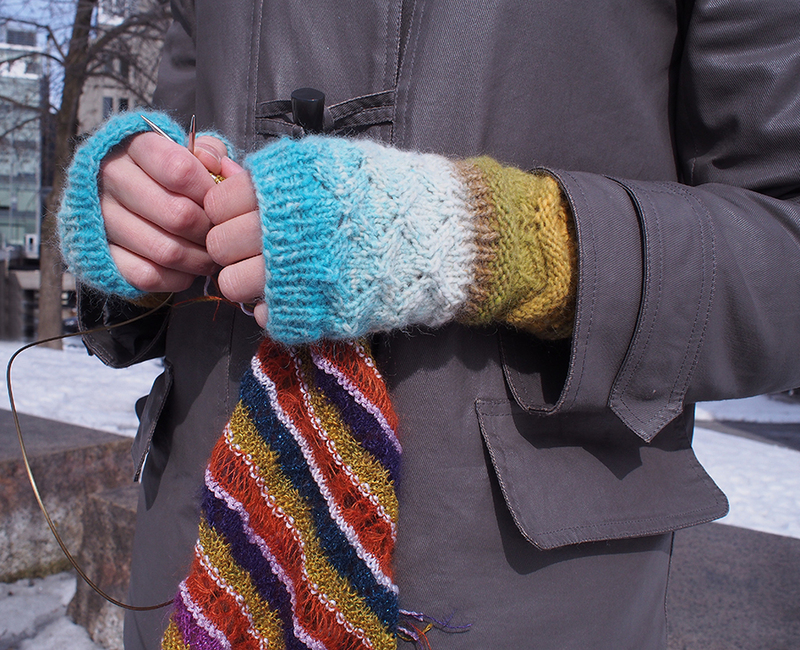 But what about when it's warm enough to knit while waiting at the bus stop? Or walking around? See more about the project I'm working on, here. A note about buying yarn when drunk: There are so many ways to be "drunk" at a yarn store that have nothing to do with alcohol! Sometimes you are giddy from being on vacation, sometimes it is Spring and there are new yarns tumbling all around your dazed self, sometimes you just feel this uninhibited need to purchase. It is not so different from a drug, that I-Need-Yarn feeling. And so, as a parting word, I present to you a yarn purchase that trumps all others you can imagine so you feel very very good about any "tipsy" purchase in your future. 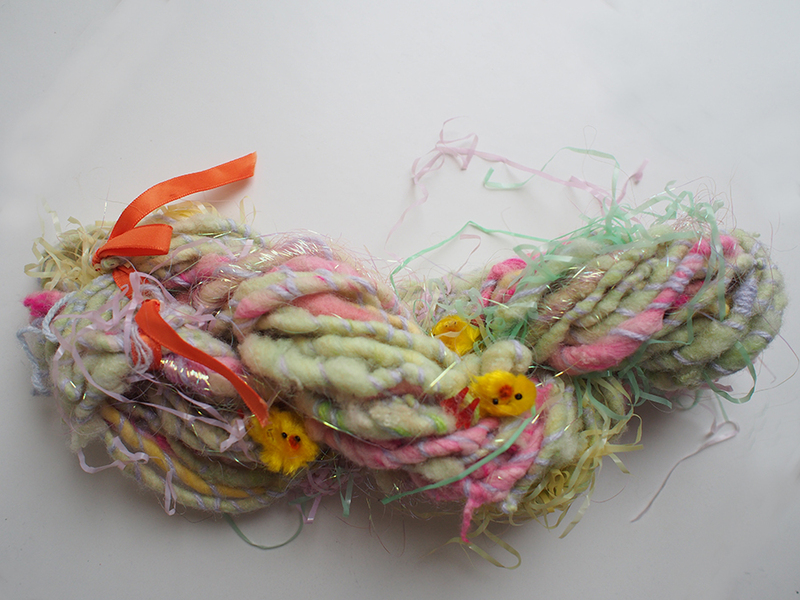 Meet the most expensive yarn you will ever find: 24 yards of hand-spun "99% merino yarn, 1% Easter grass and chicks", bought with $41 hard-earned dollars eight years ago! Why, you ask? I wish I had "drunk" as an excuse... I think the better word here is, crazy! Too funny! I got into stash trouble after my last kiddo was born -- to stay awake while nursing him at 3 a.m., I would poke around on the computer. 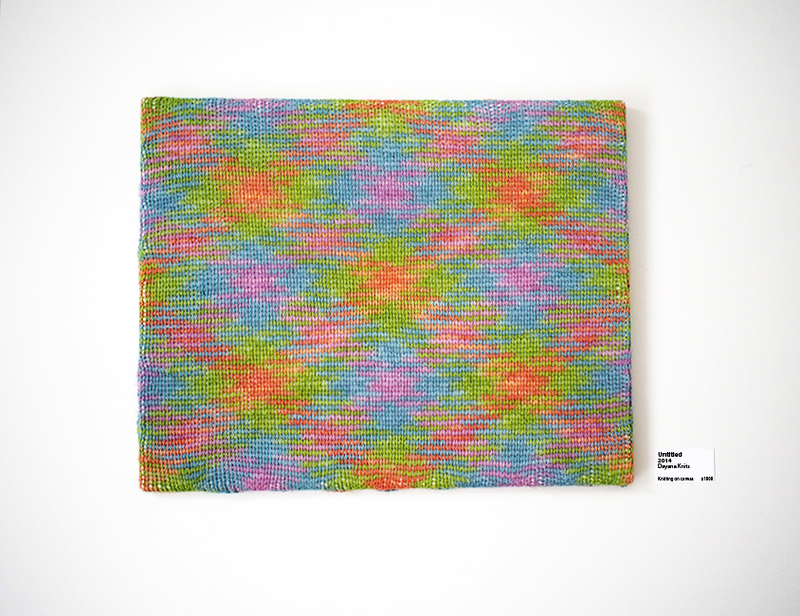 I would often wake up the next morning to find that I'd placed orders at Little Knits, WEBS, etc. My resistance was low! Ha! But how nice was it to receive those packages, right? I once read an article about a guy who got drunk and bought online a $25,000 vacation around Southeast Asia. In the morning, after seeing his wiped out checking account, he decided he might as well go because it was non-refundable and promised to be pretty amazing! LOL that easter chick yarn is hilarious! Wow. What would you use it for? Has to be something super special. Or maybe just as a decorative item all on it's own?? Yeah, I have very low reserves of willpower later in the evening. I think ALL of my purchases are done at night! 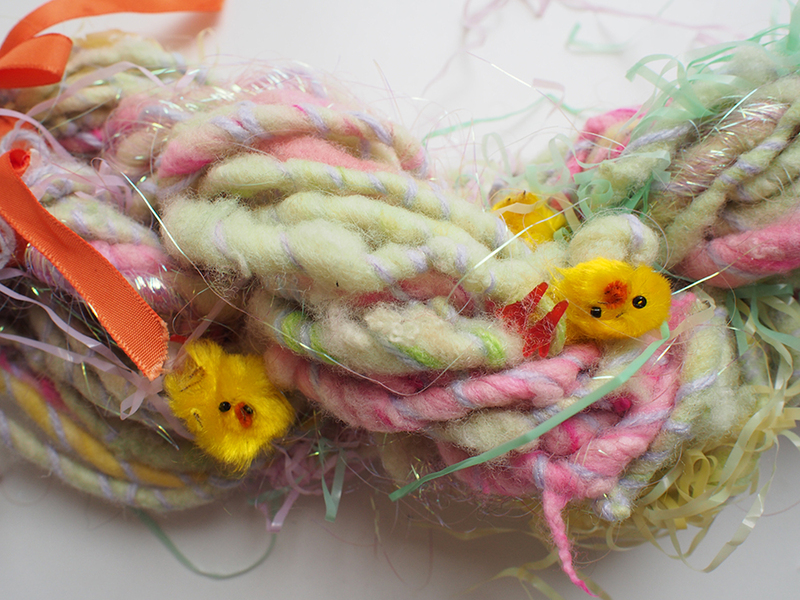 That easter chick yarn is just amazing! My eyes can't get over it. 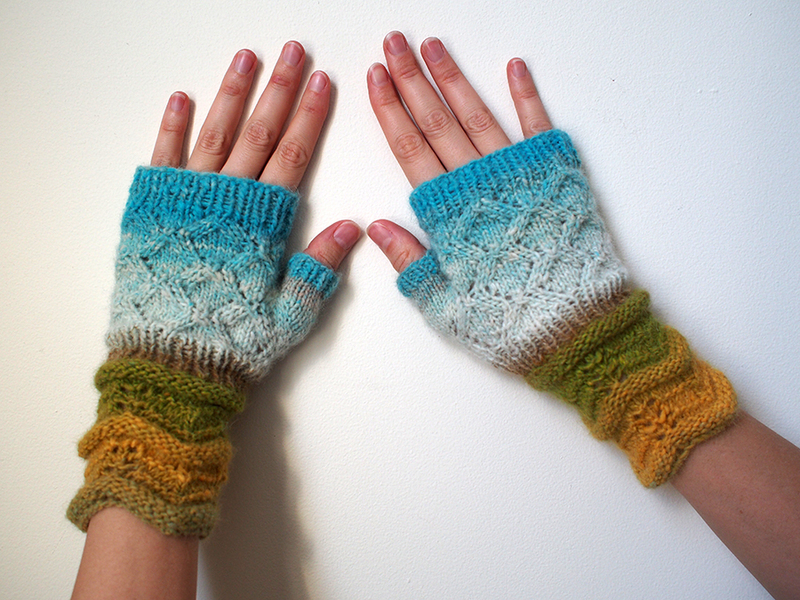 But your mitts came out fabulous! Drunk purchase or not, it was worth it. Thanks, I fear I won't be so successful with the Easter yarn, hey? Man, I've had it for years, it's not even long enough for a cowl. I should just loop it around my neck like a crazy person and dress like the Easter bunny. LOL! The chicks look so cute! I bet that is why got the yarn in the first place. Awesome mitts! I really like how you managed to make them match and align the colors. Yes, I have to admit, those chicks are what got me! They are too funny. But that Easter grass? Scratchier than Lopi wool, lol! 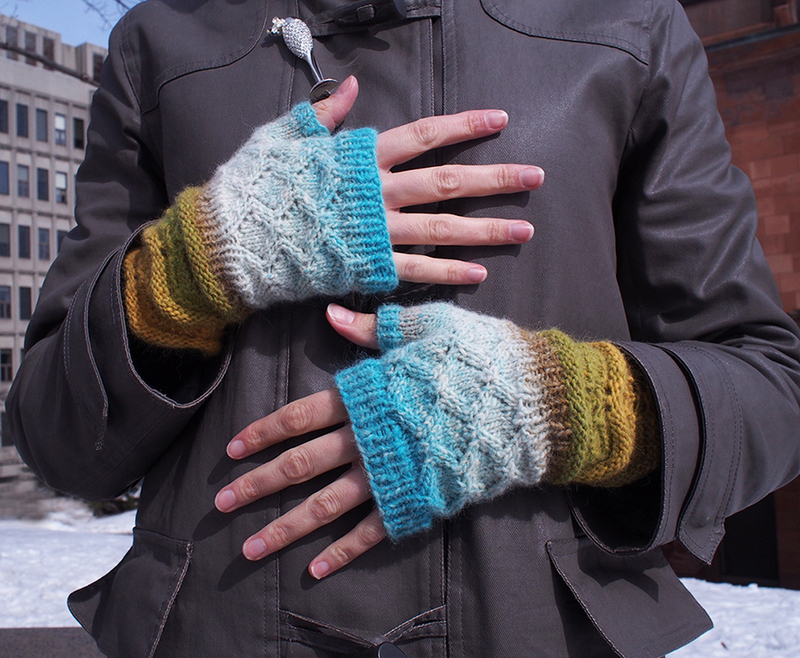 I dashed right over here from Ravelry to get the full story on those beautiful mitts. Complete justification of that yarn purchase! I haven't tried drunk buying myself, but have certainly made some regrettable purchases in "omg, 40% off!" or "oh, no, it's been discontinued!" situations, so I'm glad to see you triumph over this challenge. Going forward, I think you should simply loop the Easter-chick yarn around your neck and wear it as a necklace, so everyone can see it in its full glory. Yeah, I don't have anything great enough to top that chick yarn - that is amazing. Thank you so much for this timely post. 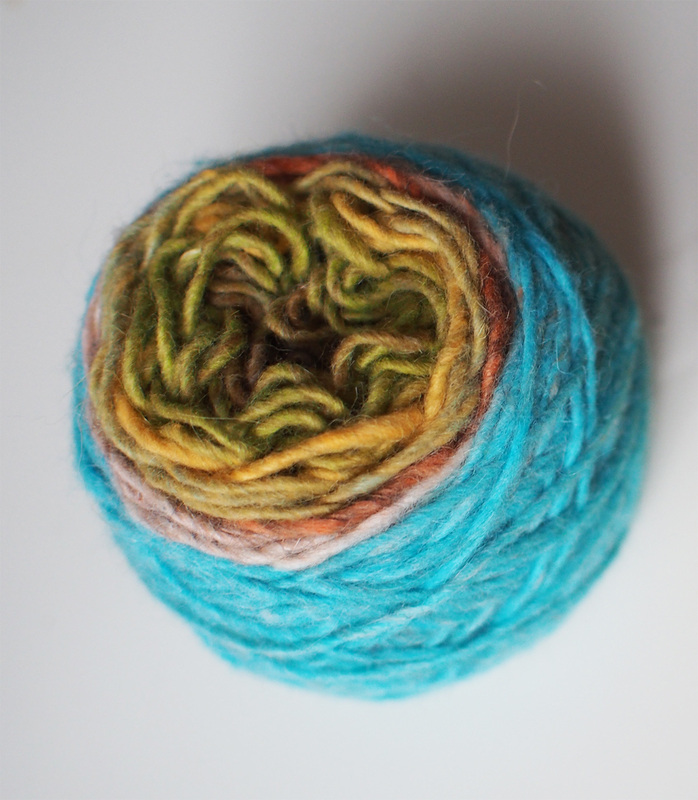 Just yesterday I was tempted by Noro on sale. Fortunately my 13 year old son was with me, it was before lunch, and he was hungry. No money or time left for yarn. Bless you though, now I want to go back and get it anyway! Those chicks... Gag gift? Good thing you are so talented, creative, and you agree with yourself. I don't always agree with myself, but sometime I can see that I have a good point, lol! ;) Let me tell you, the other day at my knit night, which is dangerously at a yarn store, I had forgotten my wallet. Wow, now THAT was a very good way to control myself, I should do it more often!! A while ago, I went to see someone handspin at my LYS. I had never seen someone do that before and was completely captivated, so... 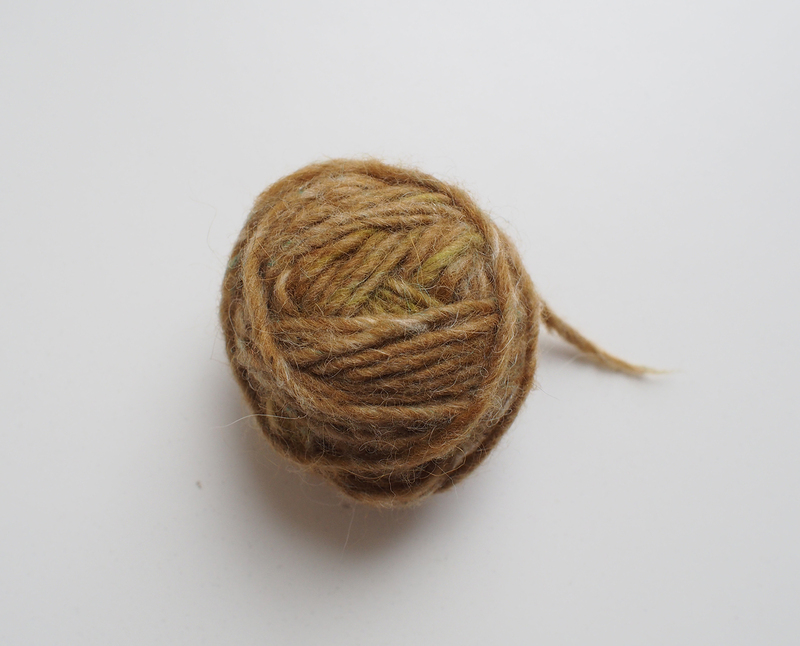 I went home with 90grams of precios handspun alpaca, sourced from a mischievous-looking alpaca named Caspar. I looked at a lot of patterns before I foud a little shawl pattern that I really liked, and now I am even more crazy abou the finished object than I was about the yarn. I´m sure you can relate! See? This is why we do the things we do, and accept all manners of fiber. If you know what you are dealing with and accept it, you will love working with it regardless. I am now working with some incredibly luxurious 100% mulberry silk. Is it a pain in some respects? Absolutely! But it's pure silk, I am ready to accept that and work around the troubles because of how breathtaking it is. I do not drink drinking since many year except litte cooler in summer, but i already found yarn interesting, i hope to have a chance to buy cashmere one. It is very interesting, maybe you will find it and buy it! Ok, good news that you are never drunk while at your LYS you drive to, lol! I am so urban-centric I forget that most people must probably have to do that. 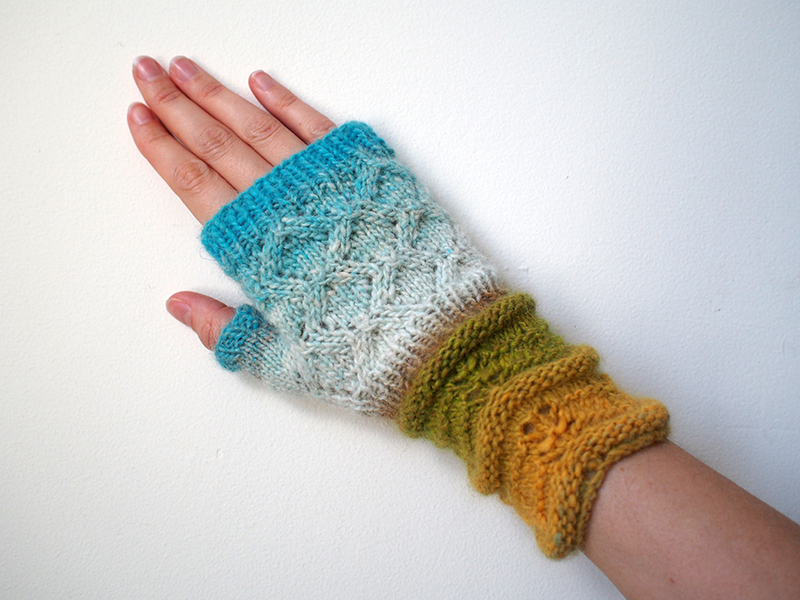 :) Thank you so much for the compliments on this post and the mitts. But I accept the challenge... I will try to top the post repeatedly, hee hee! 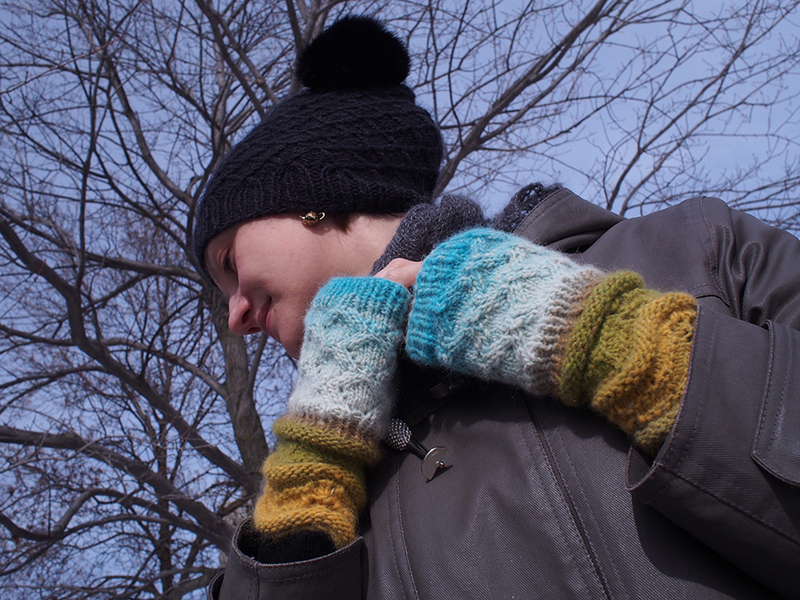 The mitts are beautiful! Best I have seen since long! 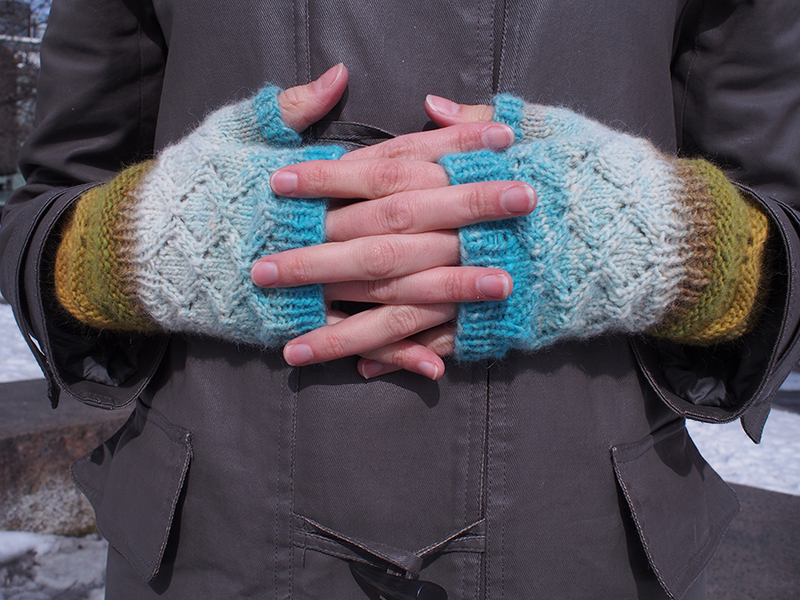 Great post and wonderful mitts! Drunk yarn buying is the absolute best...yet as you stated mine has never been due to alcohol ! Just that giddy fuzzy overwhelming utopia of when new yarn would get delivered to the shop which I worked... AHH those are some good times! I'm Denise's mother who knitted those mittens at Denise's demand, after much insisting I sat down and knitted them, but not with the idea of matching them, you sure made a beauty with your matching ones, but I still respect the idea of going with the flow and letting the wool do the decoration, but I must admit I really like yours better but I do not have that patienceI love noro wool but I find very fragile as you mentionned, but Denise is a Noro fan so I had to do it with that wool. I know!! 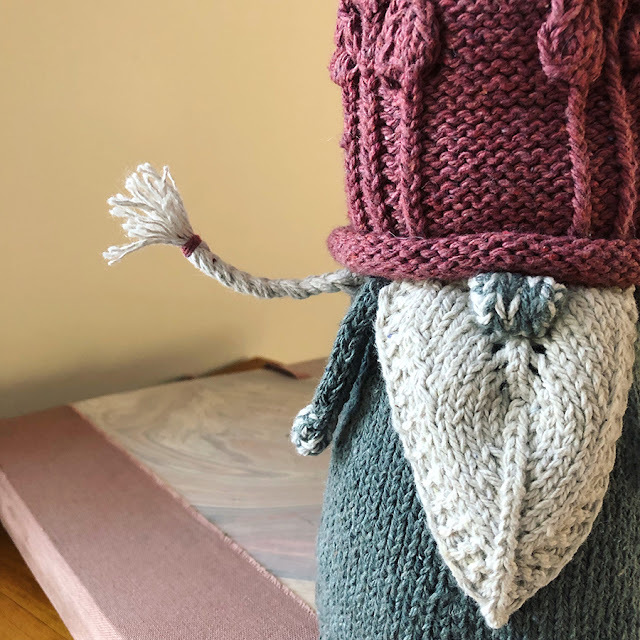 A part of me wants to sell it, but a part of me needs to crack people up for the rest of my yarny life. 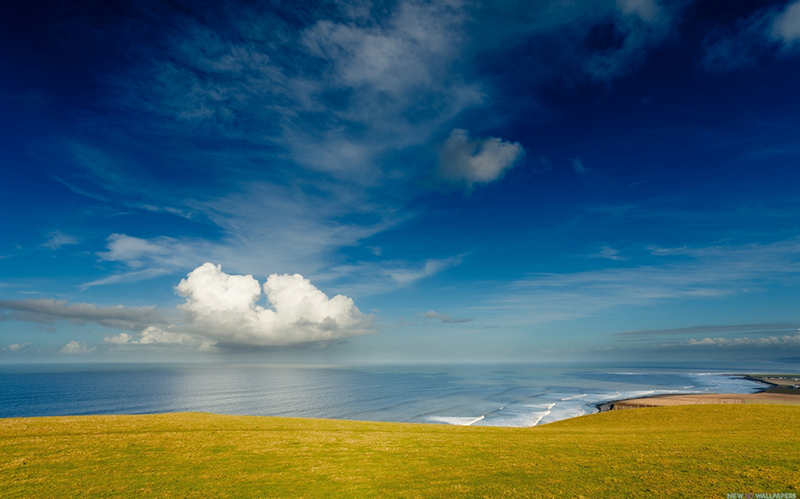 Wonderful work,and what a great blog! I love your sense of colour, style, image, and what you've done with the pattern - the details on the shortened cuffs especially. Do you share your work? I would like to knitt these cuffs. Please advise. It seems I have an allergy to cold, and break out in whelts/hives where cold touches my skin, Very new and strange...I need a strategy to stay warm. Knit beautitful and practical accessories - sounds like a good start. Happy 1 Year Blog-a-versary to Me!